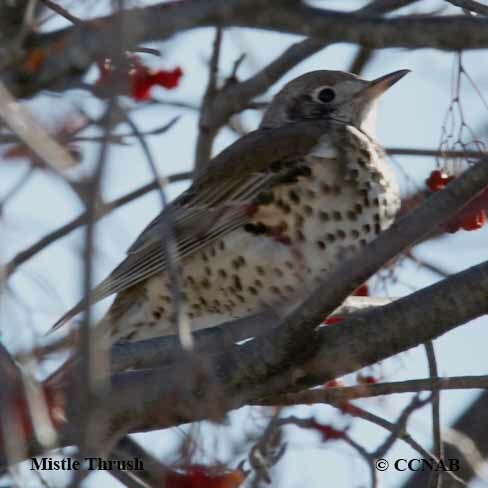 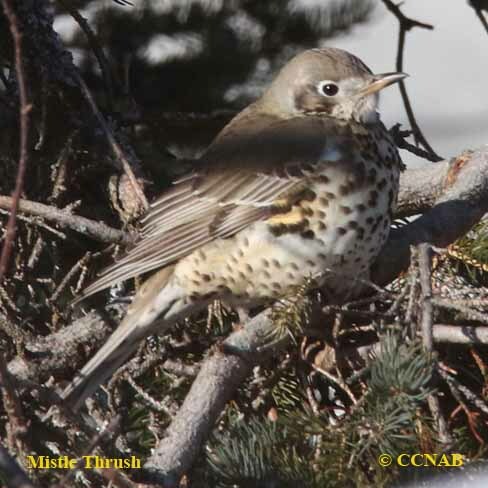 The Mistle Thrush is a rare vagrant visitor from Eurasia to North America. 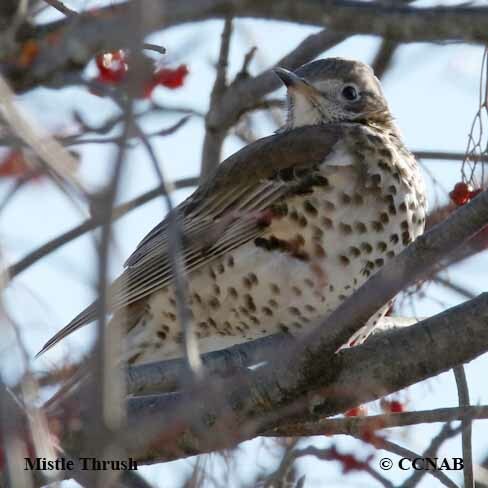 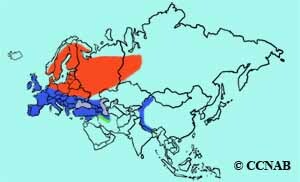 This light grey colored thrush is seen all over Europe and in some areas of Asia. 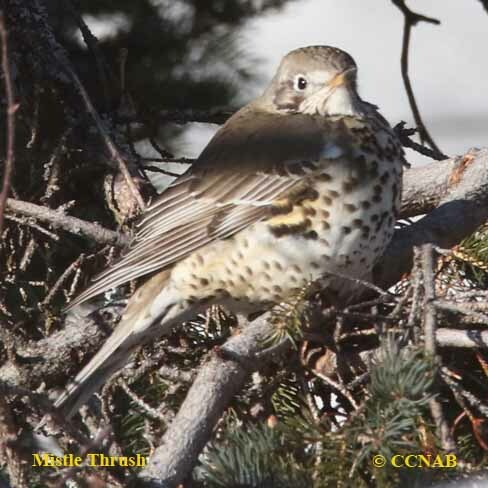 It can be confused with the Song Sparrow, another European thrush which also has a spotted breast. 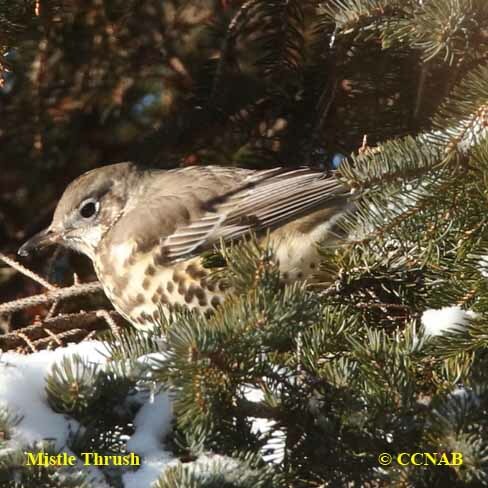 But its body colour is more of one tone, and it has a darker plumage.